A student in a Zoo University (ZooU) experience will go beyond simply looking at the animals and will learn to make in-depth observations and develop questions, collect data and analyze results, and learn the important role of zoos in terms of conservation and ethics. ZooU is experiential learning at its best! When: April 10th, 2019 @12:00 p.m. Details: ZOO KEEPER IN TRAINING . This class will focus on three areas of the zoo keeper profession including research, training and enrichment. Students will gain an understanding of the hard work that goes on behind the scenes at the Zoo and will leave with a new perspective on the role zoos play in the conservation of species across the planet. The class will last about 2 hours. There are limited spots, so please RSVP as soon as you can. Cost: The cost is $16.50 per student and $14.30 per adult attending. 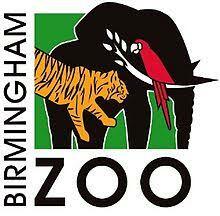 The price includes admission to the Zoo, so after class you and your family are free to enjoy the Zoo. If you have younger kids, they are welcome to come to the Zoo as well, but you will need to pay their admission fee of $9.90 per child. You are free to walk around the zoo with your younger kids while your high schooler is in class, but you must be present at the Zoo the whole time your student is in class as well as provide me with a phone number that you can be reached at. ****All payments are due by March 27th. Your payment reserves your spot. No refunds after March 27th**** Send payment to me via paypal jenbohan77@gmail.com. Please be sure to select sending payment to friends and family so that I won't be charged a fee.